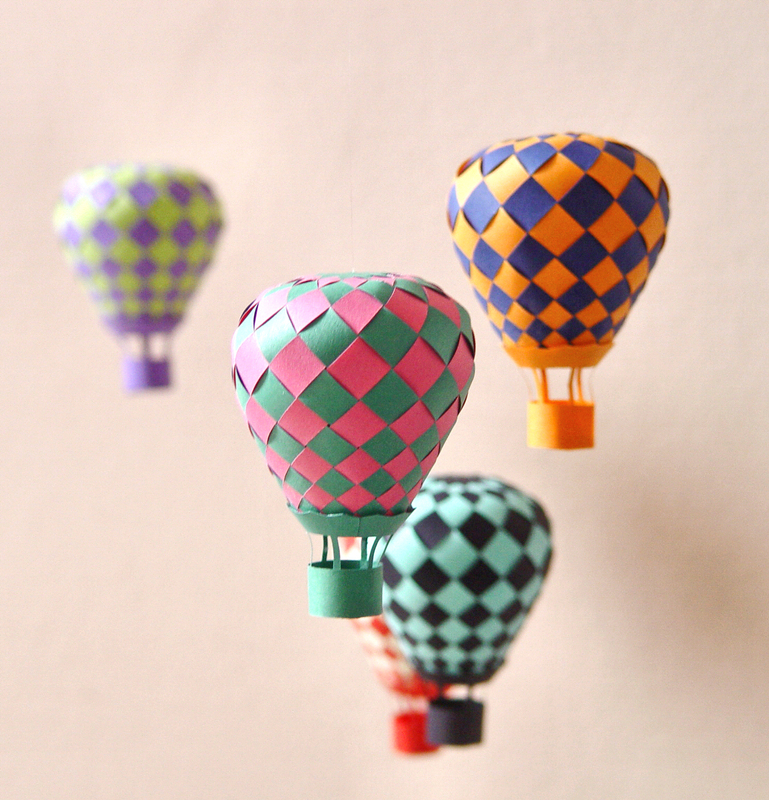 Anna has designed and made the pattern for these cute small hot air balloons. Make a mobile and watch them fly and turn perpetually. For each balloon cut two sheets in the colours you prefer. All strips are joined already and you only need to weave as described for Sphere #001. Use the glue stick to fix the strips at the edge when finished. 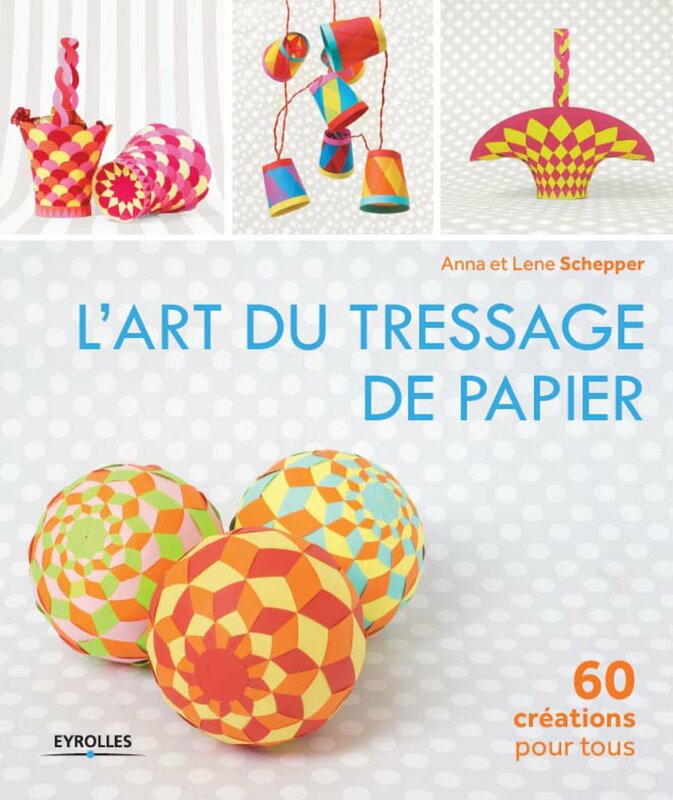 Choose the basket pieces from the same colour as the top centre of the balloon. Make the small circular basket by gluing together bottom and sides. Form a circle from the wheel like shape and fix to the small basket as shown on the pictures. Now smear glue on both inner side of ‘wheel’ and outer side of lower edge of the balloon. Press gently together. Any inaccuracy will be dimmed. To hang the balloon make a small hole in the centre of the top and fix a piece of string tying a pearl or like to the end inside the balloon. For the mobile on the pictures we used five balloons and 4 slim wooden sticks (12, 12, 16 and 24 cm). You will find a video tutorial here. I could not understand how to make the balloon 001. Would have some explanatory video for me to learn this technique? Thank you! We do not have a video – yet. But take a look at the small pictures in the post on Egg #005. They may help you getting started. I was looking at the 005 egg, still got some doubts to make the ballon 001. How do I make the transition from paper? I do not understand how they cross and terminate the closure of the entire balloon. And congratulations your work is very beautiful and excellent! thanks for the help! You print the template on coloured paper and cut the forms out by hand – OR you use the pdf-files as basis for whatever type of files your cutting maschine requires, if you have one. When you weave tight the shape of the arms will make it 3D and close the form by itself. You only need a little glue to fix it when you have done all the weaving. Then I print and cut out the hand drawings. 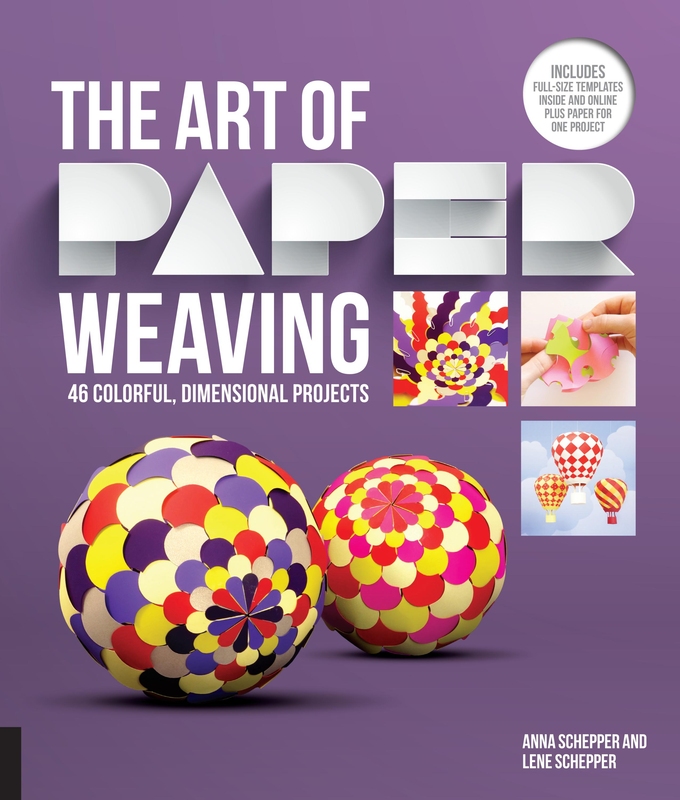 Now I just do not understand how to start weaving and crossing the papers. If I had a video would be much simpler. Sorry for my ignorance on the subject. Could you explain me how to weave? Thank you! Place one form on top of the other, same centre, so that the arms swirl in opposite directions. Now take one arm from the upper form and put it behind one from the lover form. Turn everything a little and do the same with the next set of arms. Work you way arround the centre, till you have made all 12. And then make the next row. After the third row you start using paper clips to keep the arms together. This is because the balloon starts going 3D and will unwind if you do not. Weave firmly and tight. Use a pair of tweezers to weave tha last tiny squares. Hello! I am a new silhouette owner, and i am soon a owner of your fantastic book! I ordered it today. I have at big problem, When i trace the pdf i get double lines.. Is there any way of getting rid of on of them? You should not trace the pdf files we provide. The files are already vector files (information about lines running from point A to point B). When tracing them you treat the pdf-file as a picture. At this picture there are two sets of “edges”, one on each side og the line. Your Silhouette software then makes a new vector-file based on these edges. Our American book includes links to all templates as pdf(vector)-files. I open a new document in Inkscape (free software) (A4 landscape usually). Then I IMPORT the pdf-file I want using highest resolution. Move it to the centre of the paper. This I save as a dxf-file “Using ROBO-master type of spline output”. The dxf-file I then open from Silhouette Studio. I set the paper size and “make” the lines to move them into the sheet. If it is to be very elegant I may select everything, “release”, remove the frame introduced, and “make” again. I may also rescale. Them I cut. The finished file I save as a studio-file to use again sometime. I am mosy greatful, i will try this as soon as i get the book in my hands!! You solved a big problem for me, and when i tried a minute ago with a file from your homepage it WORKED!! A4, that is 210 mm x 297 mm. This is the size my cutting maschine manages. If you are ink printing and cutting by hand you may upscale as you like. I say with a bit of training weaving a small balloon takes about 15 minutes. Anna….I’m finally able to weave. Only once I go with holding clips, I ended up cheating, and guess why not the far right. It is better to use clips? Thanks for help! Very good! In general you should NEVER use glue while weaving. Only for fixing the last row. When gluing as you go along, however tempting, you loose the opportunity to line up for a pretty result. This is why the paper clips are so important. I understand this! I will try to make a balloon using clips. Do you can take a picture with balloon when you finish weave for me? thanks! I love the outcome! But the thing is, I thought it was really hard to make the balloon. It would be great if you have a video tutorial. Thank you very much! I’m going to comeback and try the others. Lovely idea, great video tutorial, thank you. Good luck. The small balloons are quick to cut by hand. Love this! I finally found something fun to theme my boys bedroom around! Thank you so much for sharing, I love your site and the video tutorial is great. I watched the condensed version and had no problems with my first attempt. I think I will make it a bit bigger, like you said in another comment, when printing from a printer, not a cutting machine it is a bit small for beginners but still easy. 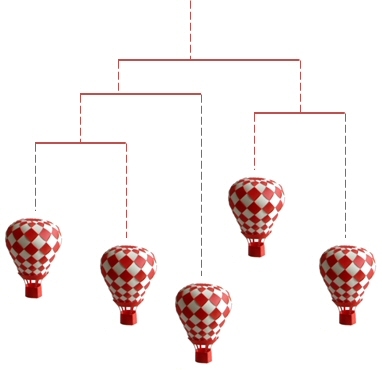 Just found your website and i especially liked this balloon mobile. Very lovely. I’ve been trying to convert your JPG file to silhouette cut file, but not very successful. Lines come out double. Is it possible if you can provide studio file? WordPress only supports uploading the most common types of file. Thus I provide simple vector-PDF cut files for download. You may transform them into the file type apt for your specific type and issue of cutting machine. In your case I would download and save the PDF file to my computer. Open the PDF in Inkscape or some other program that can edit vector files like CorelDraw or Adope Illustrator (Inkscape is free). Then save the file as DXF or SVG and open in Silhouette Studio or RoboMaster. Cut! Thank you so much for your quick and very clear instruction! I tried it and it worked fine! I am new to Silhouette and playing around with it. Your advice solves a lot of frustrated problems I am having with converting images into cut file. what weight paper works well for this? printer, middle weight, card stock ? 80 g/m2 is the kind of paper we have used. Print quality paper is OK, however you might also use a better and more expensive type. Heavier weight than 100 g/m2 I can not recommend for these small items. thanks! finished my first last night. Had fun, gonna watch videos a second time to see if I can speed it up. my wonky little balloon is cute–though it is far from perfect. This was challenging yet very forgiving—my mistakes add to the charm 😉 . Thanks for sharing–I will be assembling a mobile for my infant! Phbs life 2 shrt 4 WHAB? Try reading instructions for Sphere #001 and watch video on YouTube. I first saw your blog yesterday and today couldn’t resist and I made a ballon!! my first one!! it’s soooo beautiful, so cute!! I printed the file for cutting in a A4 sheet. It was too small, and my ballon got too tiny!! I’ll try a bigger size next time! Greetings from Rio de Janeiro, Brazil!!! 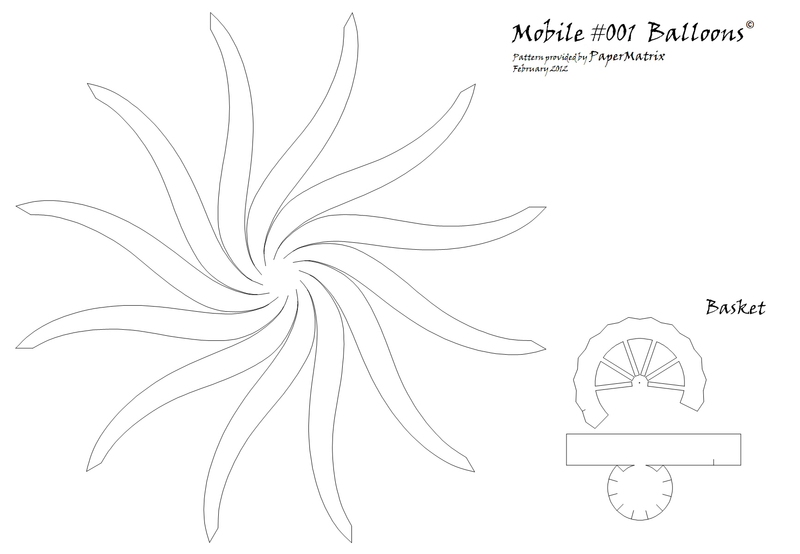 great..thanks.i finished the Mobile #001 Balloon in 2 hour,i want do the next ballon….try. “Provo Craft has been active to resist the use of third-party software programs that could enable Cricut owners to cut out designs and to use the machine without depending on its proprietary cartridges. In a comparative review of die-cutting machines, review site TopTenReviews identified being “limited to cutting designs from a collection of cartridges” as a major drawback of the Cricut range, though the review noted that it could be a preference for some.” Maybe this is no longer the case, but I do not know. Maybe somebody else knows the trick? Thanks so much for the pattern! I really appreciate all the work you have put into your site. What a fabulous resource! I made a mobile for our nursery, and blogged about it here: http://persialou.blogspot.com/2013/07/hot-air-balloon-mobile.html Thanks again! 5 pretty little balloons completed :). Any guidance in the spacing to hang then on the wooden sticks do that the mobile will balance? Thanks!!! •	4 sections of piano wire length 12, 12, 16 and 24 cm. (you may replace the piano wire and use wooden sticks). •	Hang everything from a piece of line tied to the point of balance of the 24 cm wire. Soooooooooooooo cool! I love it so much. I made it and posted on my blog to share your amazing achevement. you might see it at ( http://ijmi.tistory.com/72 ). I will make anther things and post it again. Thank you for sharing the tamplates. Okay, so I would love to do these but it seems hard to physically cut the shapes out. Can you recommend any good yet cheap cutters? I will only be using it for cutting so I’m having a hard time finding one like that. Since you use one, I thought you might be able to advise a brand..? Many friends who have small child love this balloon mobile! So I made how did I do on my blog. Again thank you very very much! will it work on regular printer paper? On part one on the You tube tutorial there are circular shapes in the centers on the both of the patterns before you weave, but they’re not on the pattern it’s self. can we use any circular shape in the center? Thank you. I watched the whole video to see if the beginning would eventually make sense to me….but I still don’t get it 😥 I’m still stuck on the beginning part…. the lady’s fingers move so fast and she makes it look so easy!! I wish i could do it like that!! And, please, don’t get me wrong, there’s nothing wrong with your video….i just don’t understand it…. I have weaved before….just really simple things like the mat in the video, though. I just tried it again, but I still seem to be doing something wrong…..What do I do after I weave the strand as far as it can go??? Or am I just completely doing it wrong?? And also, I’m pretty sure I’m weaving it wrong, because that star doesn’t show up in the middle….I’m so sorry for all these questions….